Tonight I read this quote while surfing through the links on my blog which I check daily. How does it make you feel when you read this? Uncomfortable? 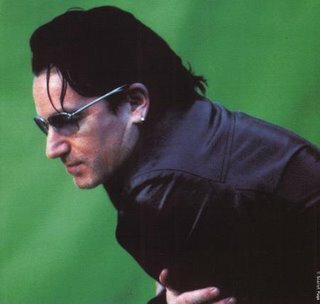 I think Bono from the band U2 is right on. Jesus likely wouldn't be hanging out at one of our "high-steeple, few-people" churches. "He didn't come to call the righteous but sinners to repentance." Yes, He'd be with the hurting masses looking on them "like sheep without a shepherd" with arms and heart extended.